Earlier this month, we reported that Disney's Tron 3 is set to start shooting this fall, with Tron: Legacy director Joseph Kosinski confirmed to be back at the helm for this long-awaited follow-up. 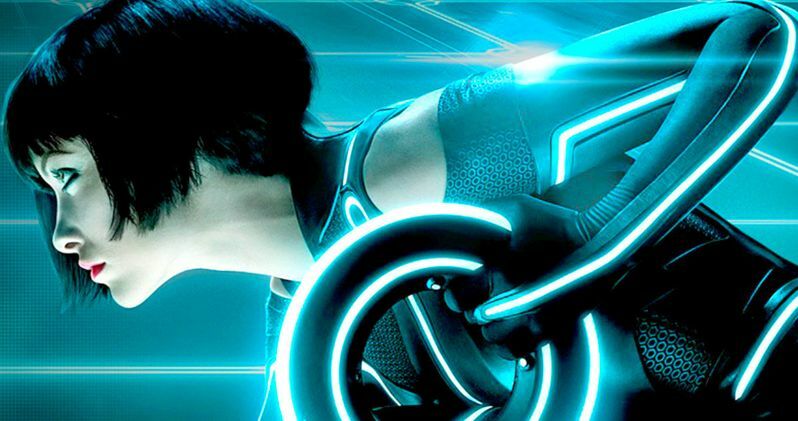 Today, Production Weekly is reporting that the sequel is now titled Tron: Ascension, with production scheduled to begin in Vancouver this October 2015 to February 2016. Disney has not confirmed the title or the production schedule at this time, but Production Weekly was the first to reveal the Terminator Genisys title for the first time back in December 2013, so it's certainly possible that Tron: Ascension is the actual title. Garrett Hedlund, who played Sam Flynn in Tron: Legacy, is the only actor currently confirmed for Tron: Ascension at this time. With production said to begin later this year, hopefully we'll start hearing about whether or not Tron: Legacy cast members Jeff Bridges (Kevin Flynn), Olivia Wilde (Quorra) or Bruce Boxleitner (Alan Bradley/Tron) are planning on reprising their roles. David DiGilio (Eight Below) wrote the original script for the sequel, which was later rewritten by Jesse Wigutow (The Crow reboot). As for the Tron: Ascension title, there could be a connection as to how it relates to the end of Tron: Legacy. At the end of the movie, Olivia Wilde's Quorra managed to cross over into the real world, despite being a completely digital creation inside the world of The Grid. It's possible that, since Quorra made the jump from The Grid, that other elements could "ascend" into the real world, but that is only speculation at this time, especially since we don't even know for sure if Olivia Wilde is coming back as Quorra or not. Regardless, we should hear more soon about Tron: Ascension, so stay tuned for those details.